Moe Creations: Shake Your Booty blog hop!!! Shake Your Booty blog hop!!! If you are looking for FFC click here! Welcome to the Shake Your Booty Blog Hop!!! If you were just stopping by to visit and would like to participate in the hop, you may start at the beginning with the Action Wobble Blog! If you were coming from the ever so talented Heather's blog, then your headed in the right direction!. Ok, so these stamps are so fun to play with and you will just love them! Check out that Wobble Action, lol too cute! 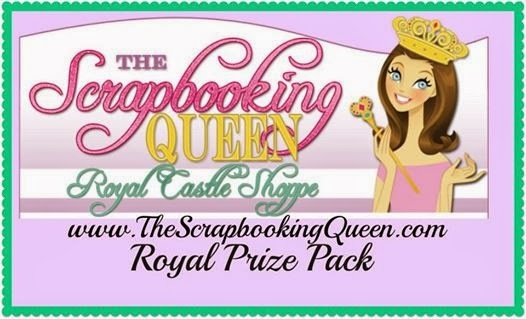 Theresa is giving out some terrific Blog Candy The Royal Prize Pack, however the rules are to comment and follow each of the blogs to qualify for the prize! Now to sweeten the pot, I will also be giving out a 6 pack of Action Wobbles too, just leave a comment and check back on Tuesday to see who the winner is!!! You will have until midnight Sunday! With that being said, your Next Crafter will be ROCKIN YVONNE! If you are running low on your on your Action Wobbles, Theresa can help you out, if you have never tried them (gasp) you should run to get them!!! This is my first scrap hop and it's great to see all the creativity! I'm getting inspired! Awesome sentiment!!! Loving the hop so far!!! I really like your layout and papers! The balloons look fabulous! I would LOVE, LOVE, LOVE to win the dog "Shake Your Booty" prize!!! I have 5 dachshunds, so that's a perfect stamp set for me!!! LOVE it! Great take on this, love to see the ideas, again FIL would be so excited to get this! Just found these stamps. They are so cute. Your card is great. I would like to follow but I don't see a place to follow by e-mail. thanks. just signed up with bloglovin so I'll be getting your posts. thanks. This really IS fun! The Action Wobble really makes this card fantastic!! What a fun card - love the action wobble. Fun card. I like the embossed balloons. Thanks for sharing. Your card is awesome. The wobbles are so fun with this stamp set. Great hop....lovin' all the creations!!! Very cute card. Love the cloud paper and the balloons. Loving this hop! I am following everyone I go to. I don't want to miss out on any of the inspiration you all share. HAHAHA! So cute. Love this card. These stamps are so adorable. Thanks for sharing! HAHA such a cute card, make me chuckle and I love action wobbles!! LOL, so super cute Melissa! I adore these fun new stamps that work perfectly with the action wobbles! Thanks for your wonderful card! I happen to enjoy my birthdays and adding another year to my tally!